It's that fabulous time of year again....SUMMER!! As a kid, summers meant no school and lots of long days with swimming and hanging out with friends. Some of my favorite memories include being outside. Whether it was hanging out by the pool on a hot day or rollerblading around our country roads to visit my friends, every day was fun and carefree! 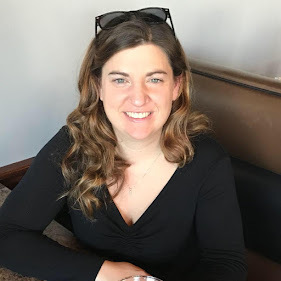 Just as my childhood was full of outside adventures, my body was full of bumps, bruises, bug bites and many other "souvenirs" of my summer days. Now that I am a mother, it's important to give my children these same memories of summer, so I anticipate they will also get some of the same "souvenirs" and have decided to turn away from the traditional ointments and treatments full of dangerous chemicals and use Hyland's. Whether you need to treat the kids in your life or yourself after a long hard summer day, be sure to check out the numerous remedies Hyland's offers. These include Hyland’s Leg Cramps Ointment ($8.59), Restful Legs ($7.69), Migraine Headache ($8.19), Backache with Arnica ($10.49), Bug Bite Ointment ($8.19), Bumps ʼn Bruises ($8.29) and so many more. Visit their website for more information. 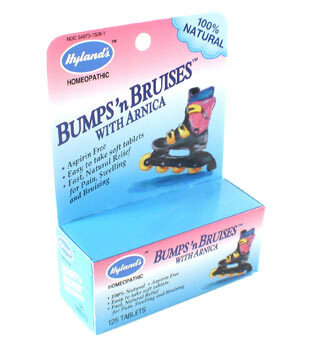 One of our favorites is the Bumps 'n Bruises ointment. This ointment is great because it works quickly and effectively as relieving the pain from bumps and bruises, without the use of harsh chemicals. It really comes in handy with our 3 year old who seems to always forget where his feet are! Interested in winning these wonderful products? Check out the My Favorite Hyland’s Summertime Memories contest! 1. Head to Hyland’s Facebook Page where you will see a tab to submit your favorite Hyland’s Summertime Memory. 2. You will be directed to fill out a comment box with no more than 200 characters including spaces about how a Hyland’s product helped you and/or your family better enjoy summer. For instance, a person might talk about how Hyland’s Bug Bite Ointment helped soothe their summertime bug bites thus helping them to better enjoy their camping trip. 3. When you enter, you will also be able to fill out a field letting Hyland's know that Savy Mommy Moments sent you. 4. Hyland’s will choose 20 random summertime stories to feature in their new Hyland’s Favorite Summertime Memories video. 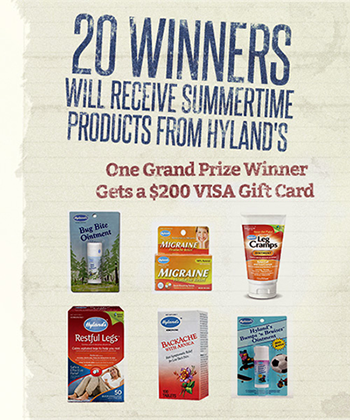 Participants will be selected at random as long as they adhere to the contest rules and submit a clear and legible summertime memory of how a Hyland’s product helped enhance their summertime fun. 6. One random grand prize winner will receive a $200 Visa Gift Card so that you can use it to enjoy your favorite summertime activities. 7. 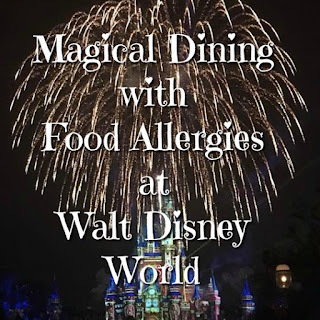 The contest ends on July 12, 2013 and Hyland's will launch their video to showcase the winners on July 15, 2013.